If I am out teaching please and cannot answer please leave a voicemail or text me a message and I will call you back as soon as I am free. With as much guidance from me as you need, we will work together as a team, to develop your self awareness and responsibility, two very important attributes of a good driver. As a fully qualified driver trainer, over the last 13 years I have enjoyed working with many different people. One thing I know for sure, is that everyone learns at a different pace. 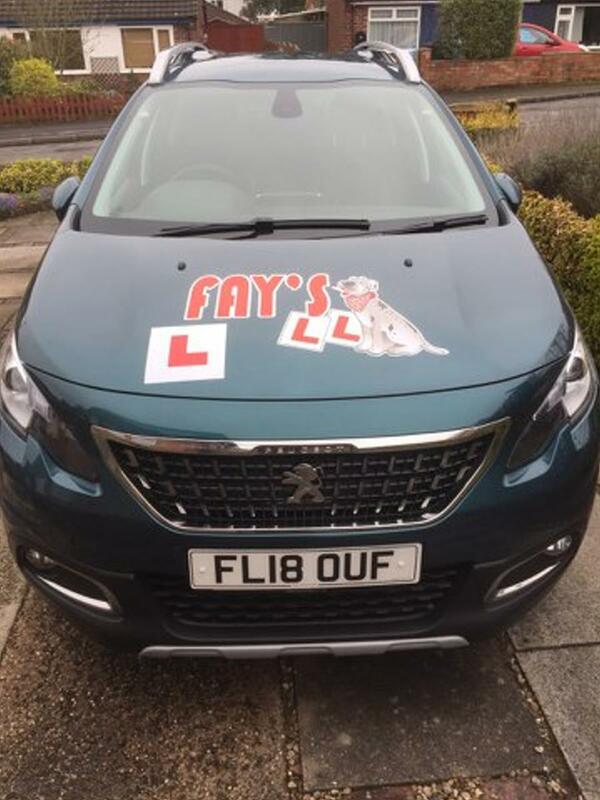 I love teaching and with my help and support you will love learning to drive with, Fay's L's. Being the leading female driving school in Nottinghamshire, I cover many areas, I have listed the main areas below. I teach in a Vauxhall Corsa probably one of the favourite cars of the learner driver. My car is also fitted with dual controls. As safety breeds confidence, the 'duals' help me to intervene when necessary but allow you the freedom to take full control of the car from the start. Sutton in Ashfield, Kirkby in Ashfield and Annesley. FAY TODAY to book a lesson TODAY!